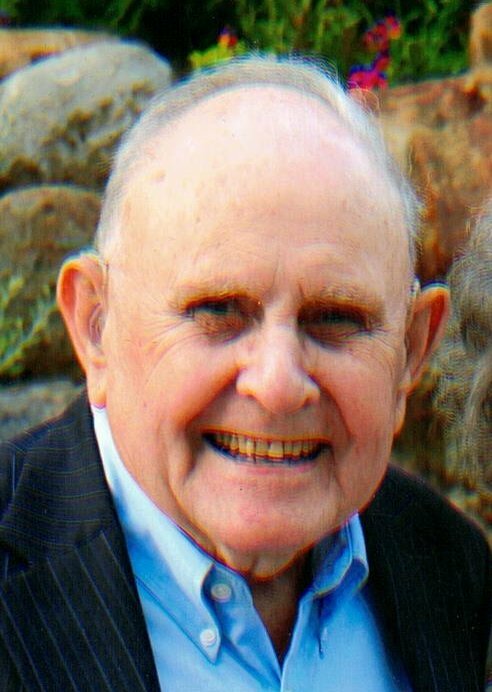 Obituary for Benjamin "Frank" Joyner | Campfield Hickman Collier Funeral Home, Inc.
Benjamin “Frank” Joyner, age 93, passed away unexpectedly and tragically on the 29th day of January 2019.Born in Huntingdon, Tennessee in 1925, Frank moved to Barberton, Ohio in 1947 where he worked at Babcock and Wilcox Company for 40 years.Frank was a decorated WWII veteran having served in the European Theater in Germany under General George Patton. Frank many times told family members and friends war stories related to his survival of the Battle of the Bulge and protecting the bridges “Over the Rhine”. Frank told these stories to educate and remind people of the atrocities of war and to honor those who he fought beside.Preceded in death by his daughter, Rebecca Ann, Frank is survived by his wife of 71 years, Elizabeth; two sons, Larry (Susan) Joyner and Jeffrey (Karen) Joyner; two grandchildren, Katie (Eric) Robinson and Robert “Rob” Joyner and two great-grandchildren Iyler and Ari.Frank was a gentle man who was admired by all who knew him. He was always quick with a smile and a kind word.Frank lived by the moto, “Tease the ones you love”. He had a great sense of humor and loved to laugh. Frank never knew a stranger.Friends and family will be received from 6 to 8 p.m. on Tuesday, February 5th and from 12 Noon to 1p.m. on Wednesday, February 6th at the Campfield-Hickman-Collier Funeral Home, 566 W. Park Ave., Barberton 44203. Frank’s funeral service will be held at 1 p.m. on Wednesday, February 6th with Joe Starc officiating. A military burial immediately following at Ohio Western Reserve National Cemetery in Seville, Ohio.